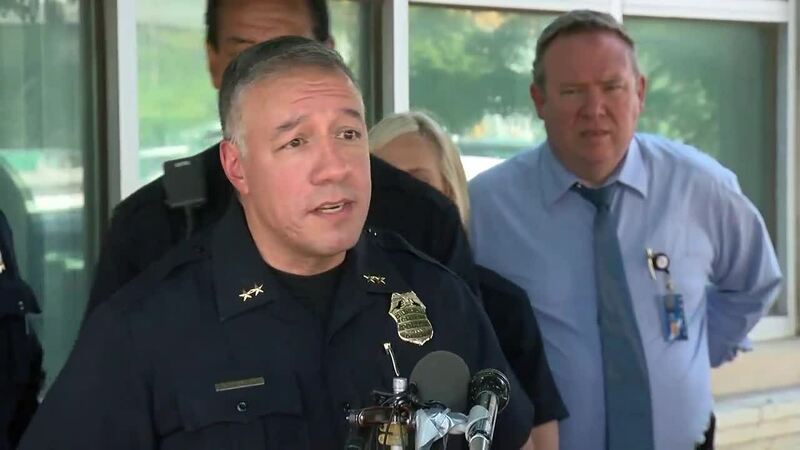 DENVER – Police are investigating a homicide scene after three adults were found dead Thursday afternoon near the intersection of S. Broadway and E. Ohio Ave.
Denver Police Division Chief Joe Montoya said at a 3:15 p.m. news conference that officers were called to the scene just before 11 a.m. 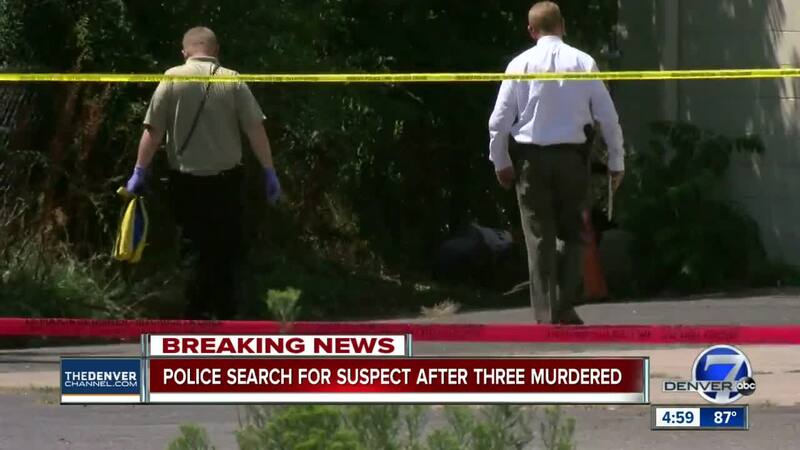 They found two men and a woman, who are all believed to be adults, dead at the scene. Montoya said that their deaths were "suspicious in nature" and being investigated as homicides. Montoya also said that there was a stabbing around 4:30 a.m. Thursday morning just 500 feet from the same scene. The victim in that stabbing was in critical condition at an area hospital Thursday afternoon, and police have arrested 20-year-old Kyle Cuffe in connection with that case. 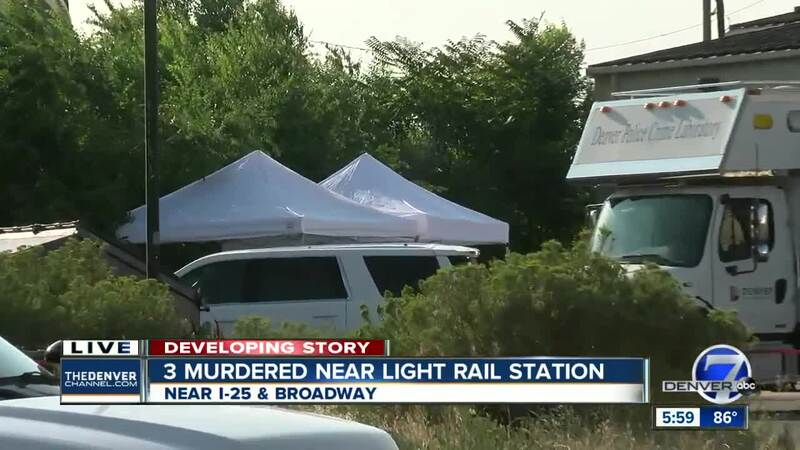 Montoya said that police were working to figure out if there was a connection between the stabbing and the three people found dead Thursday afternoon, whom he said appeared to be homeless. A Denver7 crew at the scene said police appeared to be searching the bushes near the RTD light rail and bus station. A man who works at a nearby business said he had seen what appeared to be three people setting up a camp in the area on Tuesday. Montoya said that the police department would be "stepping up" security in the area and getting resources for area transients. Police are also looking at surveillance video from the area. Montoya said there is currently no information on a suspect relating to the three people found dead. Police ask anyone with information about the incident or who saw anything suspicious in the area between Wednesday night and 11 a.m. Thursday to call 720-913-STOP.